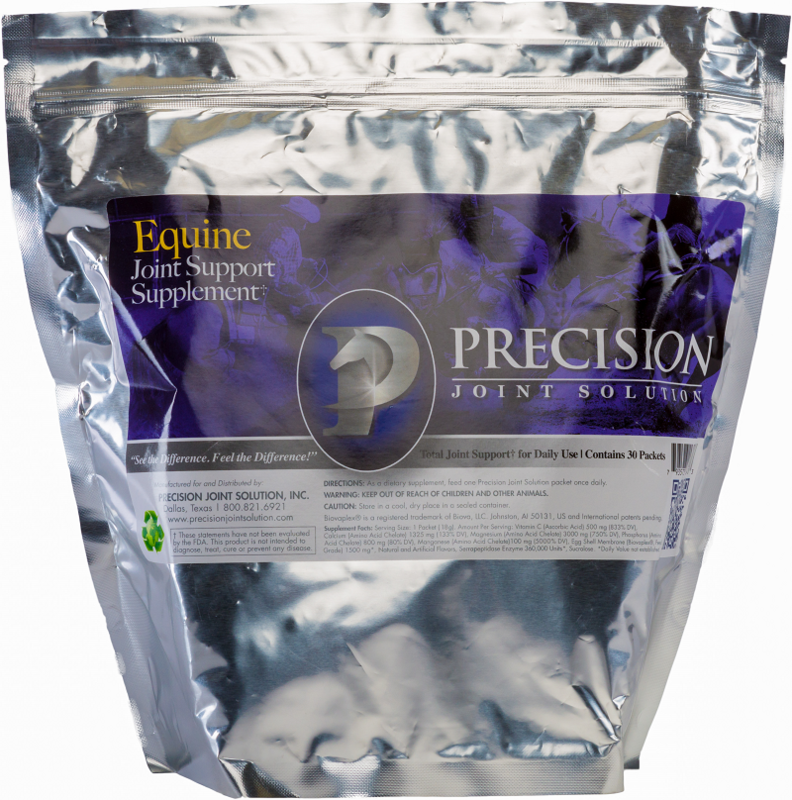 Precision Joint Solution is a cutting edge supplement scientifically formulated to support and maintain the health of your equines joints and connective tissue. As a dietary supplement, administer one Precision Joint Solution packet daily. (1 packet /16.5 oz = 1 serving) 30 serving per a container. For animal use only KEEP OUT OF REACH OF CHILDREN AND OTHER ANIMALS. In case of accidental overdose, contact a health professional immediately. Store in a cool, dry place in a sealed container. If animals condition does worsens or does not improve, stop product administration and consult your veterinarian. A powerful proteolytic enzyme with potent fibrinolytic activity, it is used for its ability to reduce swelling and increase the speed of recovery. It also helps the body to reduce inflammation and then cleanse toxins and free radicals from soft tissue, along with supporting the body’s immune function as well. Proper mineralization for strong, healthy joints, tissue and bones. In today’s environment our ground is depleted in the much needed minerals that support healthy bone structure. Our equine athletes struggle to get the proper amount of mineral nutrients from their hay and pastures that they did fifty years ago. Without proper nutrients, the equine loses the strength and integrity of its bones, tissues and joints. Not only is it important to supply these nutrients, but to make sure that they can be absorbed and utilized. That’s why Precision Joint Solution uses only the bestchelated ingredients to insure proper absorption. Magnesium effects nervous and cardio-vascular systems, relaxes muscles by dilating the blood vessels, Slows down the absorption of sugars in the digestive system. 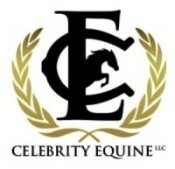 The importance of calcium to the performance horse includes normal functioning of the metabolism, the conduction of impulses along the nerves to muscle, the contraction of leg and body muscles for exercise, the contraction of the heart muscle for pumping blood, the contraction of the diaphragm for breathing, the functioning of the GI muscle for digestion. Calcium also plays a vital role in maintaining strong and healthy bones, cartilage and joints for peak performance without injury/breakdown. Vitamin C’s main purpose is to facilitate the synthesis of collagen, the primary component of connective tissue. Additionally, Vitamin C works to prevent oxidation, or free-radicals destroying cells. Vitamin C is produced in the liver from glucose. If the vitamin C is ingested and not produced, it is broken down by gastrointestinal bacteria before reaching the bloodstream. (Mn) is essential for correct bone formation because it is a part of chondroitin sulfate. It is also required to activate a number of important enzymes, and is essential in the digestion. The synergetic balance of these ingredients is what makes Precision Joint Solution a joint supplement that works!